Can you Guess Which State is Most Targeted for Cybercrime? According to FBI’s Internet Crime Complaint Center annual reports, not all states are equally shielded from cybercrime. In fact, the state with the highest rate of cybercrime attempts per capita is nearly 118% higher than you’d expect from a state with a similar population, according to Comparitech. Read on to discover what the FBI’s data says each state’s vulnerability, what type of cybercrime is most often the culprit, and how much cybercrime costs an individual. The FBI’s most recent data shows there were more than 19 cybercrime victims for every 10,000 residents in the state of Alaska, making it the most vulnerable state in the U.S. to cyber attacks. Last April, The Alaska Department of Health and Social Services’ Division of Public Assistance was breached and more than 100,000 Alaska households were affected. Though no damage was reported, in 2016, Russian hackers accessed at least a portion of Alaska’s election system. Perhaps the most troubling statistic is the number of phishing attempts on the trans-Alaska pipeline, which reportedly occurs up to 22 million times each day. Alaska isn’t the only state to house a highly targeted entity. Washington D.C.’s Pentagon, for example, reportedly thwarts 36 million phishing attempts every day. Not surprisingly, D.C. ranks as the second more targeted area in the U.S.
Each state has varying levels of attractiveness for bad actors, here is a list of the most and least targeted states for cybercrime. There is plenty of news coverage that points to overseas hackers infiltrating U.S. networks most commonly, but there are also homegrown actors. Specifically, Washington D.C. had the highest amount of perpetrators with nearly 13 hackers per 10,000 residents. Closely following is Nebraska, with 11 hackers per 10,000 residents. Nonpayment or nondelivery: Commonly occurring on peer-to-peer sites like Etsy or eBay, nonpayment and nondelivery scams are when an individual pays for goods or services but never receives the product. Personal data breach: Any time a person’s data is stolen by an unauthorized individual. To date, the Marriott and Yahoo breaches have been the largest personal data attacks in U.S. history. Phishing: This is any fraudulent attempt by hackers to obtain personal information by masquerading as a legitimate company. 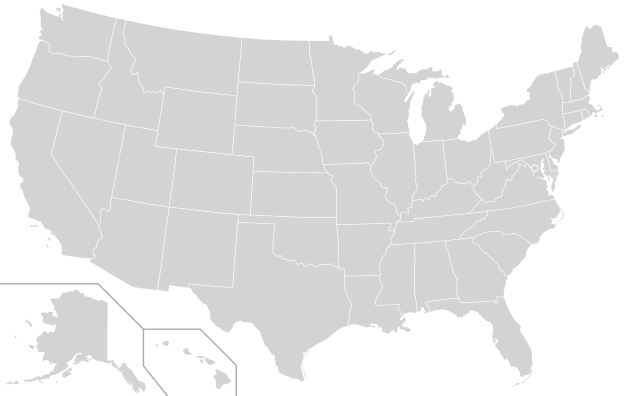 Washington, D.C., Nevada, and California are pegged as the locations with the greatest average number of cybercrime victims. California residents are particularly susceptible to falling victim of scams pertaining to online shoppers and e-commerce outlets. The median cost of a cyber attack for an individual is $5228. Arizona claims the top stop for cybercrime cost as victims in Grand Canyon state lost an average of $9,200. Even though Alaska is identified as the state with the highest cybercrime attempts, the cost per resident is the lowest in the U.S. with the average at $1,205. Tightening privacy controls is important to continue warding off cybercrime. In addition to investing in modern technical infrastructure, companies should instill password policies for their employees for more comprehensive protection. Similarly, individual users should remember the guiding principles of password protection and creation for frontline defense against bad actors. For additional assistance, download a free trial of EZPD to upgrade your password creation and regeneration process.